Brow Tattoos: Yay Or Nay? - Would You Get Your Brows Tatted On? 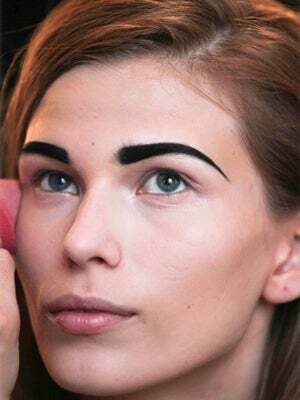 Eyebrows are subjected to trends as often as lipstick formulas or your skirt lengths, but unlike wearing a miniskirt, tweezing your brows can come at a cost. Sometimes brows just don’t grow back as we age, causing us to look even older than we actually are (no thanks!). Hair loss from alopecia, thyroid disorders, or chemo can also result in bare brows, and for those of us who are not as blessed in the brow department as Camilla Belle or Lily Collins, we have to resort to alternative maintenance methods. Latisse isn’t intended for brow use, and pencils, powders and waxes get grating – what’s a gal to do?